KATHMANDU, March 25: Prime Minister KP Sharma Oli on Sunday warned Netra Birkam Chand-led Communist Party of Nepal (CPN) to surrender its weapons or get prepared for more crackdowns. During an address to the parliament, PM Oli said that the government has been waiting for the former rebel party to give up weapons within the given deadline which expires next week. Failing to do so, he said, would result in further crackdown. “We have given an ultimatum to submit the weapons. 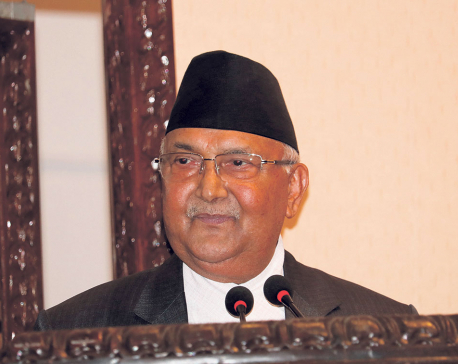 The government knows how to take hold of the weapons if our calls are ignored,'' Oli told parliament. 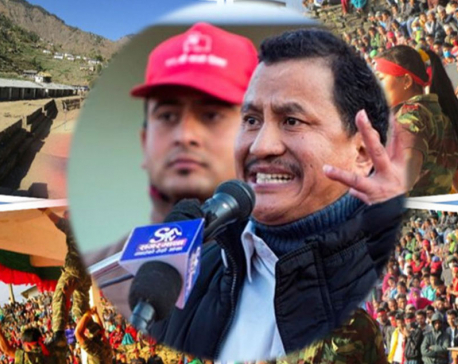 Since the government outlawed the CPN on March 12 citing the party's involvement in criminal activities, security forces have been launching massive crackdowns on the Netra Bikram Chand-led party. Police say they have arrested more than 90 leaders and cadres of the party, although the party claims that the number could be much higher. On Saturday, police had arrested Hemanta Prakash Oli, the party's mid-division commander. 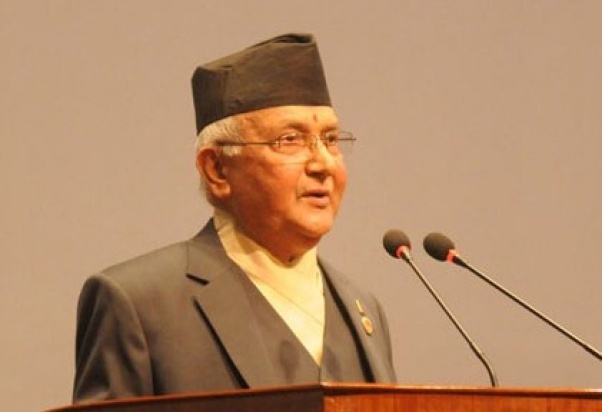 Prime Minister Oli said that the government would resort to more stringent measures if the party doesn't give up criminal activities like extortion and bombing. “The state has already stepped up efforts to contain the rebels. There is no point turning back. Such activities will be crushed at any cost,” Oli told parliament. Oli also dismissed the possibility of dialogue with the party, which has remained semi-underground since months. He said that the submission of weapon is a precondition for talks. Opposition parties including Nepali Congress, Naya Shakti Party and Bibeksheel Nepali Party have been urging the government to resolve the issue through talks. “Everyone should adhere to democratic norms and values and the government is determined to uphold these values. Let no one think that the episode of violence would continue or can be continued,'' Oli said. Earlier on the day, the Ministry of Home Affairs had hinted that it was contemplating tough measures against the party. In a statement, the ministry warned the general public and organizations concerned not to provide any kind of physical or material support to the party. Those found to be giving or receiving any kind of support to the party would face punishment as per the law, the ministry added. Tension between the government and CPN escalated after the latter carried out a series of bomb blasts targeting Ncell telecommunication towers across the nation and its corporate office in Lalitpur last month. The Lalitpur blast left one person dead and two others injured.